Zhang Yimou shows how the rich flout China’s strict family planning laws. 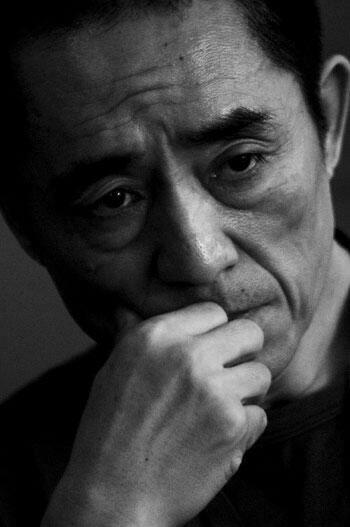 Zhang Yimou, known for directing box office hits such as Hero and House of Flying Daggers, has come under fire over allegations that he has fathered more than seven children, a violation of China’s controversial one-child policy. Reports about Zhang’s alleged ignorance of the law began circulating months ago, but it was only on Sunday that he admitted to being the father of three children. The revelations were made public via an open letter to the media and a public apology on his microblog after officials announced that they would question him over the allegations. “For the negative consequences of my actions, I would like to express to the public my heart-felt apologies,” Zhang announced in a statement. He dodged questions over whether he has children from past marriages or out of wedlock. The director revealed that his children had been followed and secretly photographed by “people with an agenda.” He plans to take legal action against these individuals and rumormongers who claimed he has “three to four women, seven to eight children,” according to Channel News Asia. Zhang and his wife gave birth to three children born in Beijing in 2001, 2004, and 2006 without approval certificates from family planning authorities, Xinhua quoted from the family planning bureau of the Binhu District of Wuxi City, Jiansu Province. The couple officially married in 2011. Media reports claim that if Zhang did father seven children, he could be fined up to $26 million under Chinese law. China introduced its one-child policy in the 1970s in order to curb population growth. The country has boasted in the past that the policy has reduced its population by 300 to 400 million people, a claim disputed by some academics. Exceptions are made for couples who are both only children and families living in rural areas. Parents who have additional children are required to pay hefty fines called “social fostering fees” that only the wealthy can afford. The Chinese government recently relaxed the rules by allowing couples to have a second baby if only one of the parents is an only child. Zhang’s case highlights what many see as an example of how those with money or influence can get away with having more children than allowed under the current law while the poor are unable to do the same. The authorities have not considered decision-making behavior.